If No Man's Sky in its current form is as huge of an improvement as everyone says it must have been totally putrid at launch because it's still exceedingly boring and tedious and not especially fun two years and multiple massive updates later. 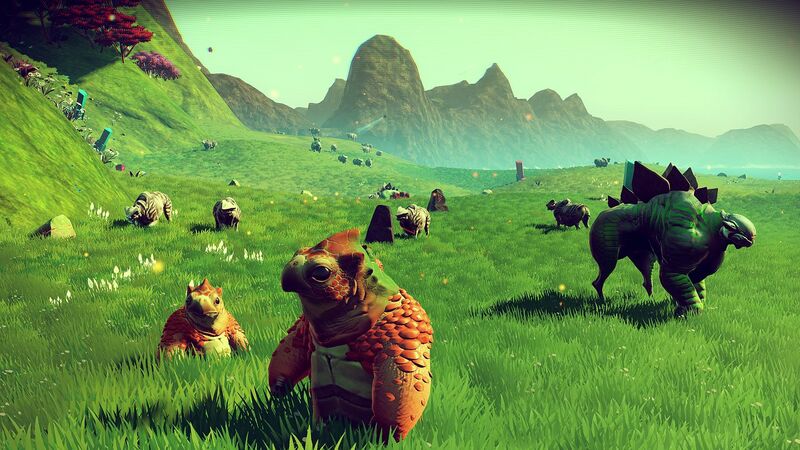 I knew what to expect from No Man's Sky and thought I was prepared to embrace the game for what it is rather than what I had hoped it would be all those years ago when the trailers looked so promising, but what No Man's Sky actually "is" is mind-numbing resource gathering, awful building, and repetitive fetch quest missions on barren ugly planets full of ugly nonsense creatures and plants. I am very disappointed. Continue reading our full No Man's Sky Xbox One review for all of the details. 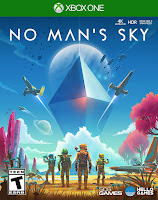 In case you've been living under a rock for the last 4+ years, No Man's Sky is a sci-fi space exploration game where you can land on any planet or moon you see and easily and seamlessly travel between solar systems at will. The game promises something like 18-quintillion planets to explore - all procedurally generated and full of procedurally generated plants and animals - that you can discover and name whatever you want. 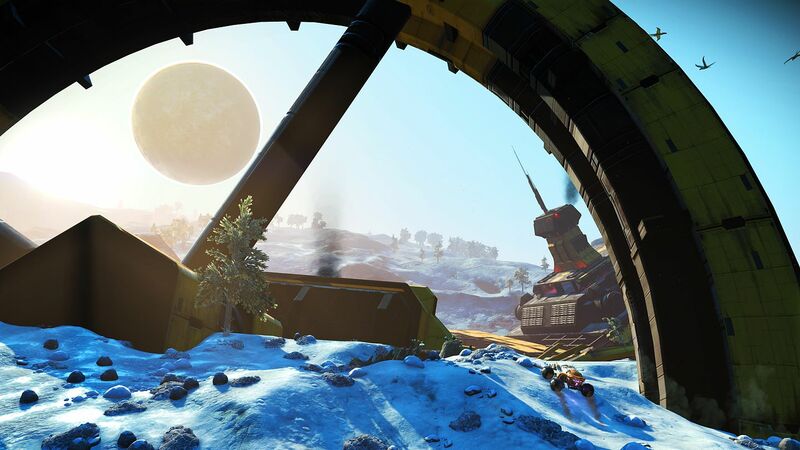 Indeed, No Man's Sky does deliver on these promises - it is extremely easy and fast to explore the galaxy and there is lots of stuff to discover - but what happens in between the "ooh and ahh" moments is where the entire game falls apart. You can't just hop in your ship and do whatever you want in No Man's Sky, you see, which is where the real core of the game comes in - it's really a tedious resource collecting and crafting game set in a cool sci-fi setting. You have to collect materials to fix your ship. Then you have to collect materials to fuel your ship. Then you have to collect materials to recharge your mining laser. Then you collect materials to recharge you life support. Then you collect materials to build a base. And this pattern repeats over and over and over until you get tired of it. The whole game is simply a quest for materials so you can fuel your space ship so you can move on to the next star system and do it all over again. Or maybe you'll scrounge resources so you can upgrade your ship or spacesuit or multitool item to make resource gathering ever so slightly easier and faster in the future. Mining materials is boring. The crafting interface (and menus in general) is awful. Building bases is finicky and awkward. No Man's Sky is an absolute grind. Potentially even worse is that you might land on (or start off on) a planet that is constantly trying to kill you with extreme weather or a poisonous atmosphere that requires you to collect even more resources to top off your life support. There is also the ever-present threat of stupid goddamn robotic sentinel enemies that don't like it when you mess with their planets. In other words, collecting resources (the whole point of the game) pisses off the sentinels so you have to fight them, which causes you to need to collect even more resources. Bleh. The gameplay loop in No Man's Sky isn't any fun. I've said in the past that I don't mind grind-y games as long as the grind is worth it. There needs to be a pot of gold at the end of the rainbow to reward your effort. There is no such reward in No Man's Sky. 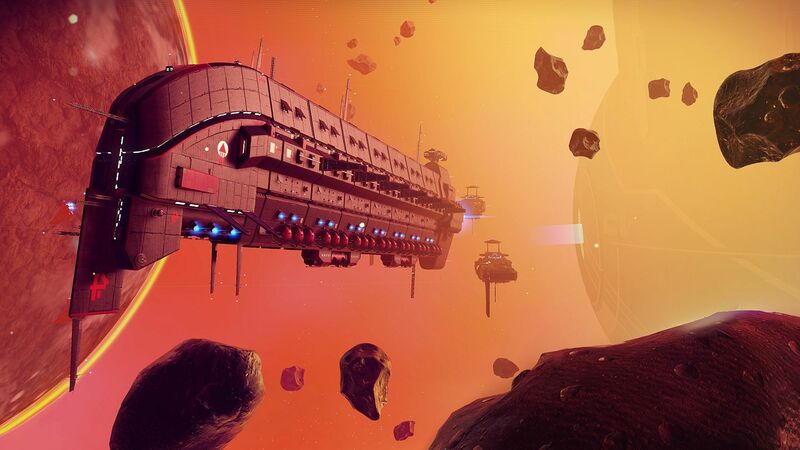 There are quests and objectives in No Man's Sky through a couple of major story campaigns that have been added to the game since launch but even these are as mindless and repetitive as you can get and boil down to collecting resources or traveling to a location only to be told to travel somewhere else or collect more stuff. I guess the reward is supposed to be the journey rather than the destination, but even the thrill of space exploration wears thin surprisingly quickly in No Man's Sky. 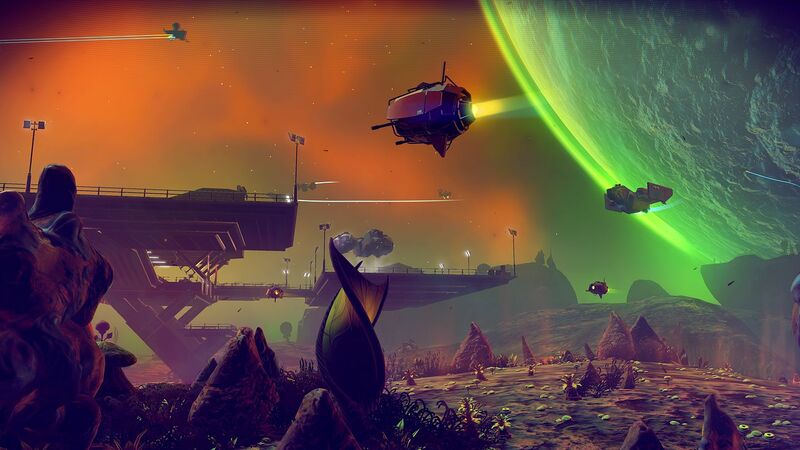 I'll admit that there are definitely some truly beautiful moments in No Man's Sky when you enter a particularly interesting star system or land on a lush and brightly colored planet, but those moments are relatively few and far between despite all of the beautiful screenshots everyone is posting on social media. Most of the planets you land on are barren and boring and ugly. Most of the plants and animals you see are nonsensical and ugly and unappealing. For every one beautiful or interesting thing you discover in No Man's Sky you will have mindlessly catalogued and instantly forgotten about 100 ugly lame ones. It all just gets boring and repetitive after a while. I gave up on my normal mode play through after about 10 hours and switched to creative mode where you don't have to collect resources or money and can just explore at will. This made the game more fun since it was much faster and easier to find the actual interesting and pretty stuff, but it also shone a bright spotlight on just how boring and shallow the core game really is. Creative mode, too, gets boring pretty quickly as you can only see so many ugly planets and visit so many identical space stations (they're all the same on the inside even if they're shaped different on the outside) and talk to only so many lame aliens (there are only 3 species) before you feel like you've seen everything the game has to offer after a few hours. The gameplay itself in No Man's Sky isn't particularly good, either. There is a bright spot, though, as I'll admit that the ship controls are actually pretty solid and flying around and dogfighting in space can be fun. And being able to travel between planets and star systems relatively easily (compared to something like Elite: Dangerous especially) is awesome. You spend a lot more time on-foot down on a planet than you do in your ship, however, and the on-foot exploration is a chore. The shooting - which you do a lot of between mining resources and fighting sentinels - is loose and not satisfying at all. Just moving around is a pain because your character constantly runs out of stamina and the jetpack you're equipped with is almost worthless. You do eventually upgrade everything so it is all more efficient and feels better, and you also get surface vehicles eventually, but the grind to get there is my core problem with the whole experience, so you can see why I'm less than thrilled with the process. 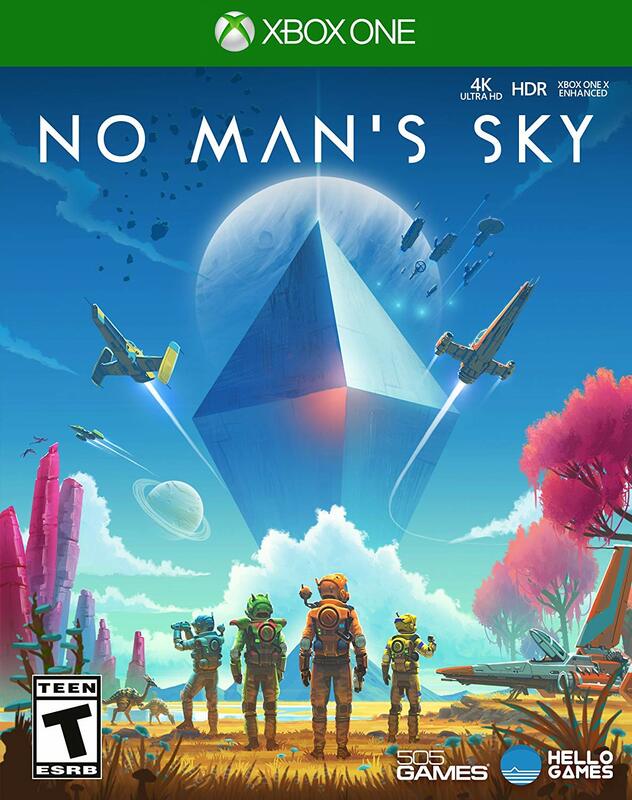 A major new feature added to No Man's Sky with the NEXT update is the ability to play real, honest to goodness, multiplayer with your friends. I didn't ever test it out. I did have some random players enter the same system I was in, but we never interacted. Sorry I don't have more to offer on this feature. The presentation in No Man's Sky is easily the best thing about the whole game. When you discover a planet that is lush and full of life and bright colors, the game can be absolutely breathtaking. Entering a star system with ringed planets and colored nebula is also truly a sight to behold. The problem is that most of the time that isn't what the game is showing you. Most of the time the planets are barren and ugly and simple and there just isn't much to look at. The sound, at least, is consistently good with excellent ambient spacey music and solid sound effects. I also want to say that at default settings, No Man's Sky made me really, really motion sick. Like, I was out of action for a solid two hours after I stopped playing because I felt so awful. Thankfully, another new feature is that you can play in third-person perspective, and switching to that really helped. Pulling the FOV out as far as it goes in the options menu also helped tremendously. If you suffer from motion sickness in games this is definitely something to keep in mind before you play No Man's Sky. I haven't been this sick from a game in a long, long time. In spite of the negative tone of this review, I will say that No Man's Sky isn't simply a terrible awful garbage pile. In fact, it is pretty solidly mediocre in just about every respect. Just because I don't enjoy the gameplay loop doesn't mean that you won't. Personally, I found the core resource collecting and upgrade loop to be extremely tedious and repetitive and boring fairly early on and the lure of maybe seeing pretty visuals lost its appeal for me pretty quickly. If you still want to check it out, definitely consider your tolerance level for resource gathering and tedium because that is 95% of what you do in No Man's Sky and there is no ultimate reward waiting at the end for your efforts that makes similar grinds in other games ultimately worthwhile. 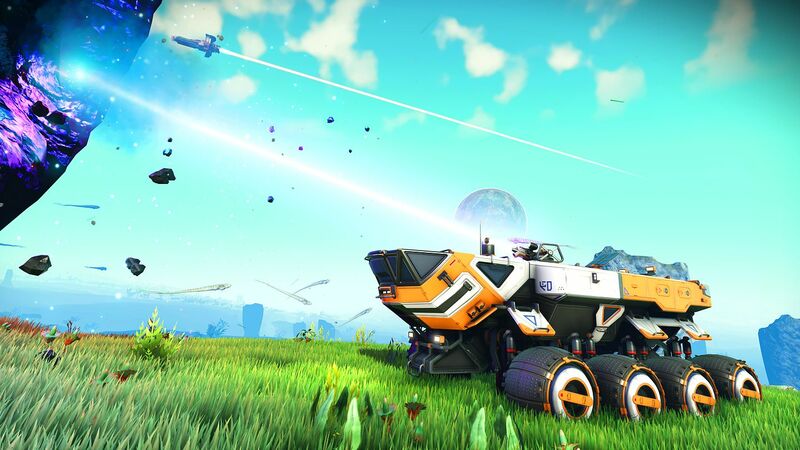 No Man's Sky just feels like work and I can't recommend it.